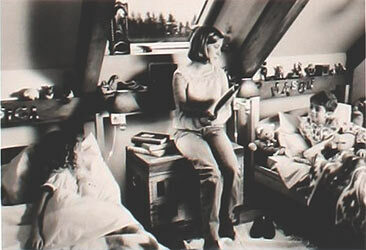 This still - one of eight - was scanned from an original set in the Northernstars Collection. Based on the novel by Russell Banks, The Sweet Hereafter recounts the events leading up to and following a school bus accident that kills fourteen children. The story follows the families whose lives irrevocably change, and a big-city lawyer (Ian Holm) who shows up in the community hoping to sign people up for a class-action lawsuit. In the ensuing atmosphere of suspicion, guilt, and doubt, a surviving teenager (Sarah Polley) manages to regain her strength and dignity, and by telling a lie, reunites the community, and drives the lawyer from the town. Atom Egoyan’s excellent adaptation of Banks’ complex tale of guilt and redemption is told in a Rashomon-like fashion. The cast is seamlessly perfect, and Holm’s central performance as the deeply flawed lawyer with a smouldering intelligence holds the screen with a magnetic core. 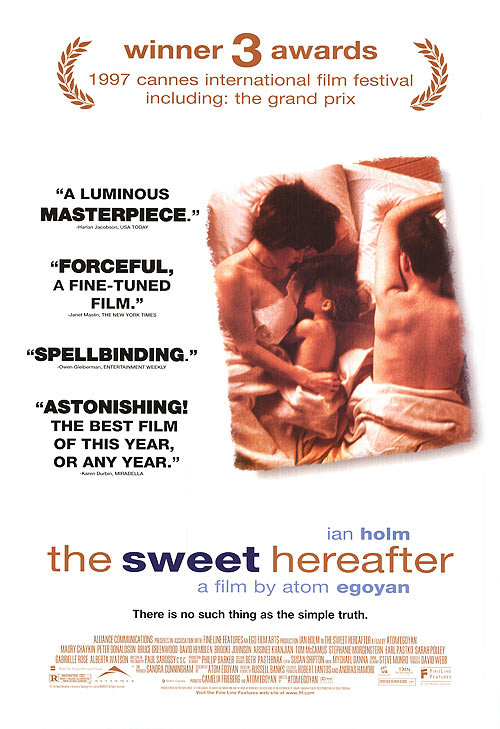 The Sweet Hereafter won the Grand Prix at Cannes and was named Best Picture at the 1998 Genie Awards. The above still and the poster were scanned from originals in the Northernstars Collection.